A revised Companions in Christ Leader's Guide, containing a "Getting Started Guide" and new plans for a closing retreat, is also available. 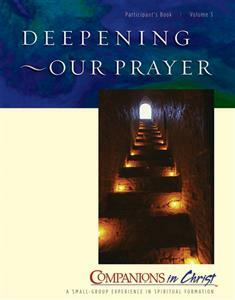 Deepening Our Prayer: The Heart of Christ is a guided experience of various classic forms and styles of prayer. Discover new dimensions of prayer, try fresh ways of opening to God, and learn what it means to practice the presence of God. OPTION: Groups that wish to experience an uninterrupted 28-week study of Companions in Christ should order Companions in Christ Participant's Book in 1 Volume.